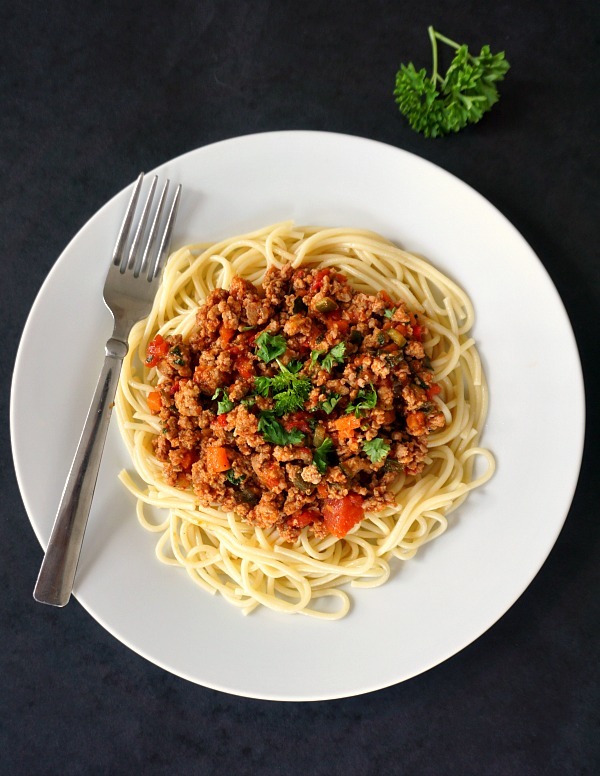 Turkey Bolognese, a healthy, protein-packed meal that gives comfort food a new meaning. 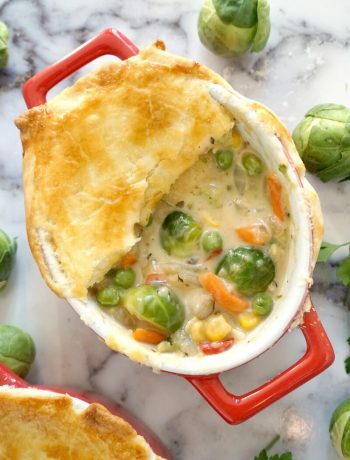 A healthy dinner for the whole family to enjoy. Low fat, low calories, but so delicious. Say no to junk food and ready meals and enjoy this delicious turkey bolognese recipe that even the fussiest of eaters would love. It is safe to say that one portion will not do, you better get your big pan out and roll up the sleeves, a nice dinner is just minutes away. Turkey mince is so easy to cook, and goes very well with any kind of pasta, rice, couscous, quinoa and so on. I’ve recently made Turkey, spinach and ricotta lasagna using minced turkey and it was so tasty, l could not have enough of it. And the number of dishes that can be cooked is countless. Don’t you just love it when you can come up with a delicious meal that everybody likes? What l like about homemade cooking is that you are the masterchef, you decide what goes in and everything can be adjusted to your own taste. You can make your own healthy food without having to spend a fortune on ready meals that promise you to change your life forever. 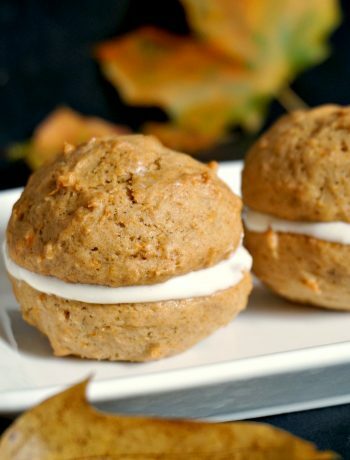 Most of them have hidden ingredients that are anything but healthy, being high in salt, sugar or saturated fat. Not good!!! 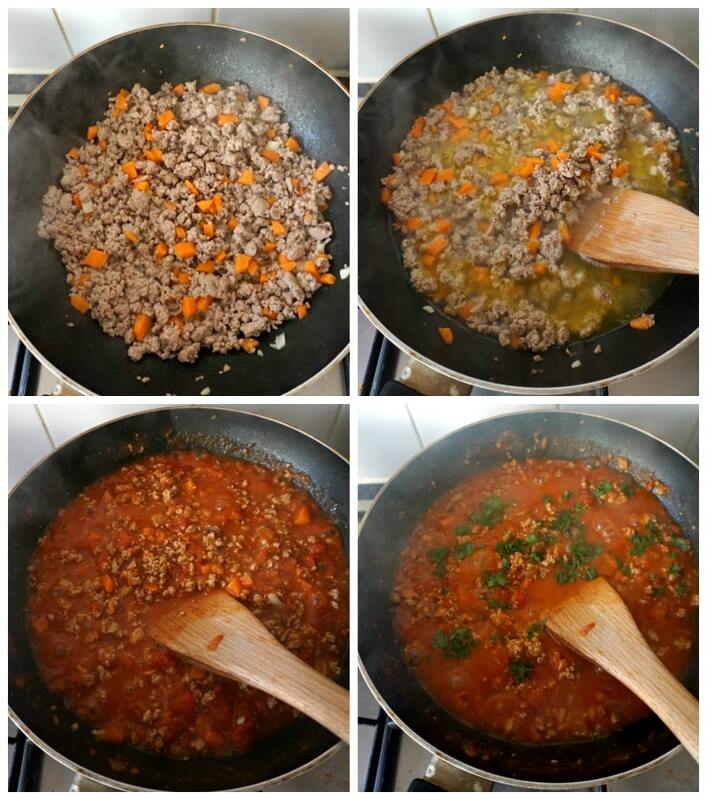 How do you make a healthy turkey bolognese sauce? 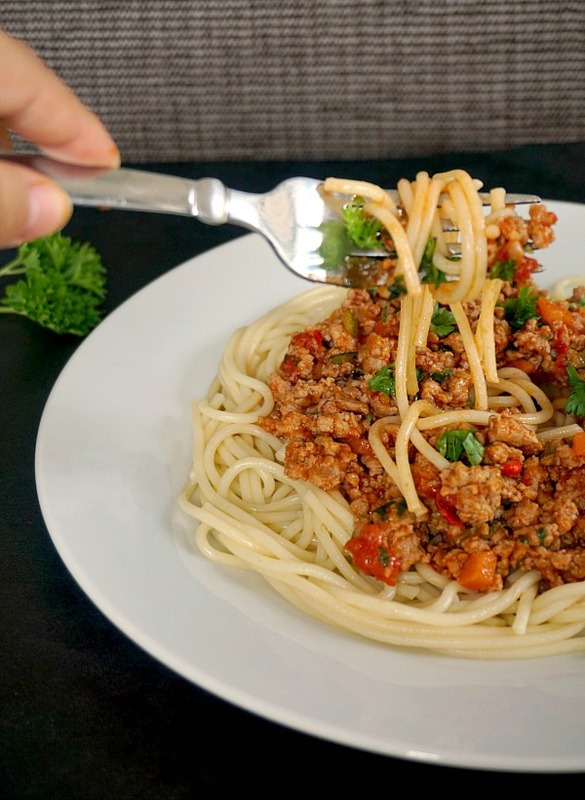 To make this clean-eating turkey bolognese you need some good-quality lean turkey mince, some veggies of your choice, if you don’t really like the ones l used, and some nice tomato purée and chopped tomatoes. Be generous with the spring onions and garlic, they bring so much flavour. Plus herbs like Italian or mixed herbs, they make sure a difference. Peel and chop the onions, garlic, carrots, zucchini and peppers, add the oil to a pan, and sautee gently for about 2 minutes. Add the turkey mince, add use a wooden spoon to break the mince so that this does not form lumps. Stir until the liquid has been released, then add the chicken stock and leave to cook with a lid on until the stock has been absorbed. Add the chopped tomatoes, tomato paste, and leave to cook further until the liquid is nearly absorbed, then season well. What to serve with turkey bolognese sauce? And that’s it, one sauce that goes well with so many side dishes like pasta of any sort, rice, bulgur wheat, quinoa, potatoes, and so on. It is also a great filling for a lasagna, cannelloni, or pasta bake. I always cook a bigger batch and then divide the remaining sauce into smaller tupperware to make sure I have the right amount of sauce I need to defrost. To defrost, just pop the sauce in the microwave until bubbling hot. 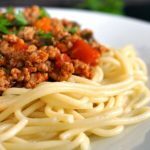 It saves so much time, and when I don’t have to cook, I can always rely on a good bolognese sauce to make a healthy dinner for my family. My little ones love this sauce, especially with pasta and rice. If you’ve tried this TURKEY BOLOGNESE RECIPE or any other recipe on the blog then don’t forget to rate the recipe and let me know how you got on in the comments below, I love hearing from you! You can also FOLLOW ME on FACEBOOK, and PINTEREST to see more delicious food and what I’m getting up to. 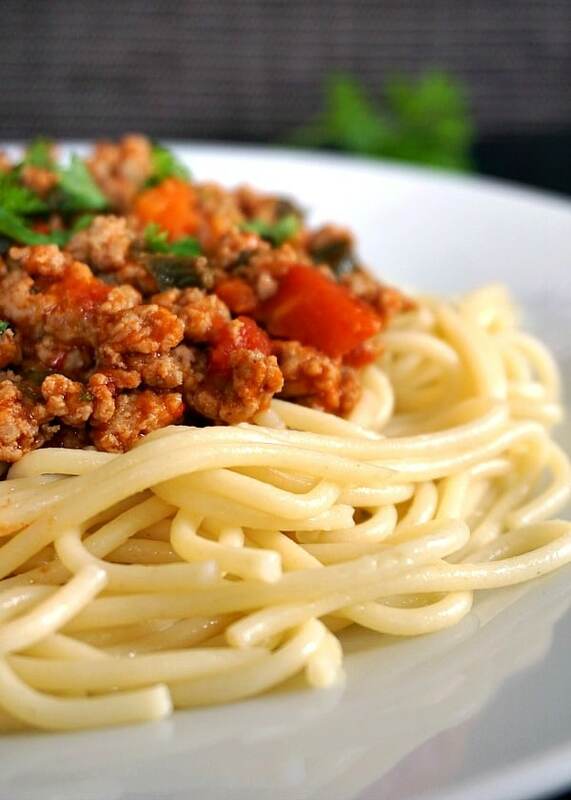 Clean-eating Turkey Bolognese with spaghetti, a healthy, protein-packed meal that gives comfort food a new meaning. Say no to junk food and ready meals and enjoy this delicious recipe that even the fussiest of eaters would love. Cook the spaghetti according to the packet instructions. Peel the carrots and cloves of garlic and chop them together with the courgette, spring onions and red bell pepper. Heat up the oil in a large pan, add the chopped vegetables and sautee for 2 minutes, then add the minced turkey and stir well with a wooden spoon, breaking any lumps that may form. Continue to stir until the mince is brown all over, that should take about 10-15 minutes..
Add the chicken stock and leave to cook on a medium to high heat until all the liquid has been absorbed, it may take up to 15 minutes..
Add the tinned tomatoes and tomato puree and leave to cook for 10 minutes, stirring occasionally. 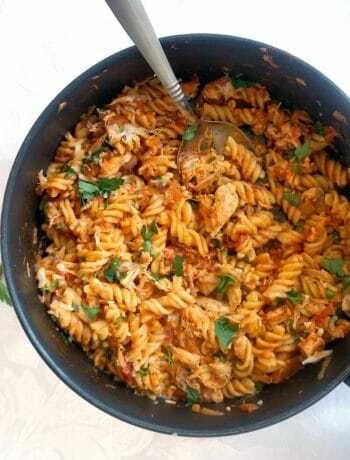 Season with salt and pepper, add the Italian herbs, then remove from the heat and garnish with freshly-chopped parsley.